Beautiful design for chilly evenings. Enjoy the Mexican heat! The classic design looks great with modern garden furniture. A Mexican stone fire pits lights your garden and radiates the heat to all directions. Imagine the Mayans dancing with the flames along the pyramids of the Yucatan. The natural stone isolates the heat, so yor patio or grass does not burn from the radiated heat from above. Sit down and relax. Enjoy the fire dancing in the Aztec fire pit. 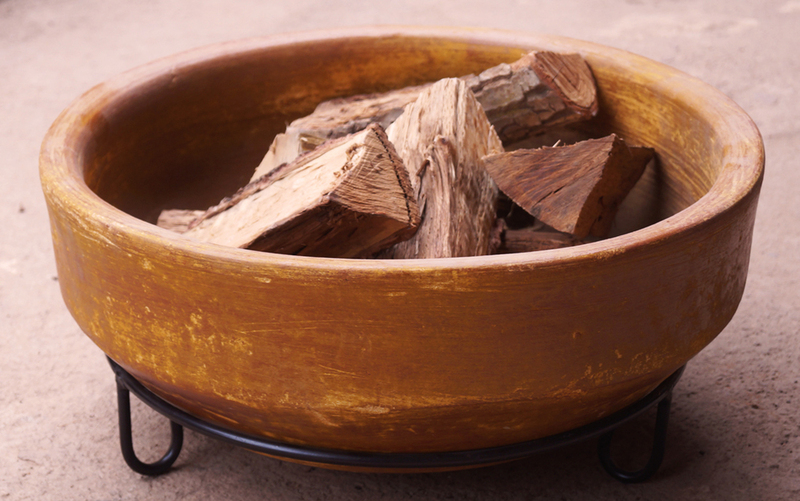 The Sol-y-Yo® Fire Pit is available in 4 colors; Red, Yellow, Brown and Grey. The four different colors are shown in the gallery on the right.